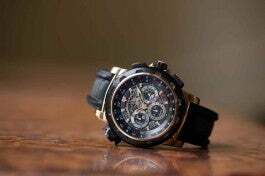 Swiss watch brand Blancpain has introduced a new retail experience to Fifth Avenue in New York City. The relocated flagship showcases iconic timepieces as well as the latest collections from Blancpain, including Fifty Fathoms dive watches, the Villeret Collection and watches for women. Spanning 4,036 sq ft, the new Blancpain Boutique offers an expanded sales area with the first customer service center in North America. Blancpain owners can now have their watches serviced locally and consult in-store experts for one-on-one maintenance advice. The boutique encompasses two floors designed to reflect the Blancpain workshops in Switzerland, with polished cherry woodwork crafted by Vallée de Joux cabinet makers. At the entrance, a grand staircase leads to a sleek seating area beneath a skylight-topped atrium. 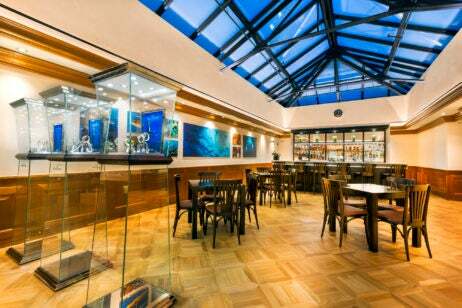 Guests can enjoy a cocktail at the lounge bar while they browse timepieces in hexagonal display cases. For a more intimate shopping experience, Blancpain Boutique also has a VIP suite that affords privacy to clients. The storied brand dates back to 1735, when founder Jehan-Jacques Blancpain set up a workshop on the upper floor of his house at Villeret. In the years that followed, Blancpain went on to launch the rectangular ‘Rolls,’ by Léon Hatot — the world’s first ladies’ automatic watch — and developed the first modern diving watch (Fifty Fathoms). 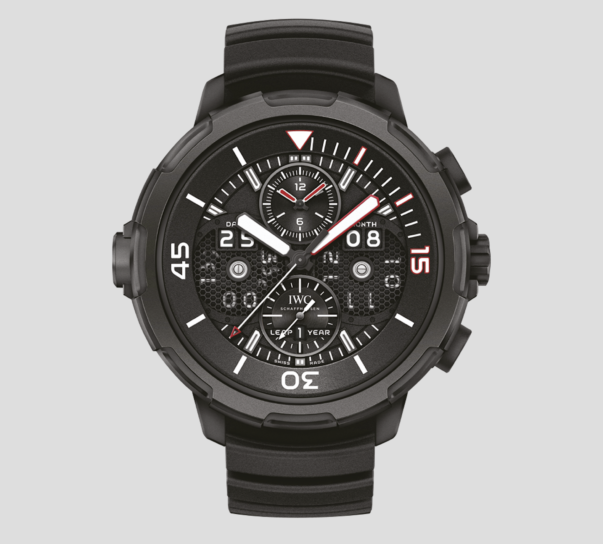 The brand has since established the Blancpain Ocean Commitment as a means of supporting major scientific expeditions and annually publishes the marine photograph book, Edition Fifty Fathoms. Renowned for its diving watches, Blancpain’s Tribute to Fifty Fathoms MIL-SPEC was named to the Elite Traveler list of Top 50 Watches 2017 in the September/October issue. Blancpain Boutique New York is located at 697 Fifth Avenue New York, NY 10022. 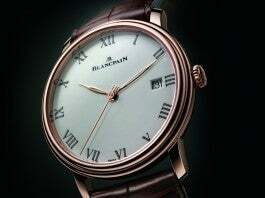 For more information, please visit blancpain.com.